Whether you’re moving across the country or across the street, selling your home is not without physical and emotional upheaval. Sure, there’s the excitement of more square footage, but mix that with the wave of memories tucked into each individual room you’re leaving behind and the stress of packing your entire life into cardboard boxes, and it’s easy to feel overwhelmed. As the owner of SpaceStyle, a home staging, organizing, and design business, Erin Lazer has seen properties at all levels of readiness for sale, including her own three moves in the last six years with two little ones underfoot. She acknowledges that we all may look around our homes and see nothing but the perfection that housed our growing families, but to get it ready for a sale, it’s time to remove the rose-coloured glasses and see it through a buyer’s eyes. “The biggest piece of advice I can share for families getting ready to sell their home – especially those with young children – is to take the time upfront to make it look as good as possible before the ‘For Sale’ sign even goes into the ground,” says Lazer. Start with a major clean-out! Before you’ve even started talking to your agent, go room to room with garbage bags for donation and waste. This includes outgrown or out-of-style clothing, surplus stuff (do you really need seven cookie sheets? ), books that have been read a million times, and anything else you don’t need or want. Baby gear like swings and Jumperoos that take up tons of space can be stored elsewhere if you’re not using them, and high chairs can be replaced at least temporarily by travel boosters that can be put in a closet when not in use. Once your house is ready to prep, get a consultation from a home stager who can help point out what your top priorities should be. Even if you’re not planning on using their services for furniture rentals, etc., a consultation will help you maximize the layout of your space, show you how to use what you have, select neutral crowd-pleasing paint colours, and more. Consider your neighborhood and the type of buyer that would be interested in your home. If you’re selling a condo, remove children’s wall decals and choose a sophisticated paint palette. If a young family like yours will likely be the buyer of your suburban home, unless those characters are still current, paint over any wall murals with a nice fresh coat and keep everything as simple and fresh as possible. Get the kids involved! Moving to a new home can make kids anxious and emotional as they don’t quite understand the idea that their familiar home will become someone else’s. Have them help with the packing, put price stickers on items for an upcoming garage sale, and get them excited about what their brand new bedroom could look like. A good general rule for selling your home while you have kids is to literally be in your house as little as possible. List it in the spring or summer to create less mess and clutter, and it will encourage you to fill your calendar with out-of-the-house plans. It’s much easier to take the kids to the park for a half-hour during a last minute showing than to figure out what to do in the dead of winter. Dining al fresco is the name of the game. Food contributes to a ton of mess, not to mention potential smells that may deter buyers during an open house. Have as many picnics as you can, try out those family restaurants nearby, or invite yourself to dinner at a friend’s house with the kids. If you’re planning a family vacation, consider taking it during the sale of your home. Once it’s on the market, your agent will manage showings and you can easily negotiate offers from the comfort of your beach chair or lakeside hammock. Be flexible: It might be your 2-year-old’s nap time, but if your agent calls with a last-minute viewing request, it’s not the end of the world if your little one naps in the car or even – god forbid! – skips it that day. Remember – this is temporary. Hide the mess but maintain a play space: You’re trying to sell you house, but your kids still need a place to play. Move the playroom area into one location like the basement, and leave just enough toys down there to keep them busy without too much clutter. Utilize existing space on other floors for some essentials as well. Your china cabinet, for example, doesn’t need to be full of dishes right up until the day you’re moving. Pack that stuff up well in advance, and use the cabinet to temporarily store a select number of toys and activities. As for the messiest toys – put those far, far away until it’s time to unpack in your new space. Play dough, perler beads, paints, and other major mess-makers have no place in a house for sale! Do what you can to reduce your stress level. Prepping your home for a move, on top of managing your daily job, kids’ activities, and more can take its toll. If you can afford it, hire professional packers to save you time and sanity. 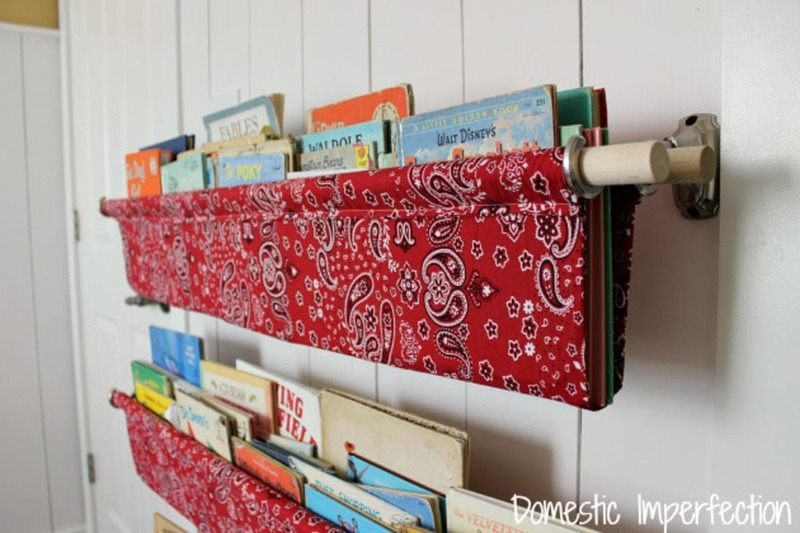 Everything will be neatly organized, wrapped with care, and ready for your new home while you focus on other things. If you can’t afford it, buy pizza (and wine) for your friends and family in exchange for their help. Do you have a tip that helped your family survive a move? We want to hear about it! Join the conversation on Facebook or Twitter. Sheri Helman is a suburban mom of two with a zest for life that knows no bounds. When she’s not balancing her career in PR and side biz as a freelance writer, you can find her cooking up a storm (and praying her family will eat it! ), at the ‘barre’, planning her next home décor project, coordinating the next girls night out, blogging about The Bachelor, and making memories with her husband and kids. She’s written a lot of great content in her head – she just needs to find the time to get it out of there and onto your screen. Check out the stuff she’s managed to type out at babefromtheburbs.com and twitter @SheriHelman. Keep informed with all our camps coverage and find the perfect camp by searching our Toronto & GTA camps directory. 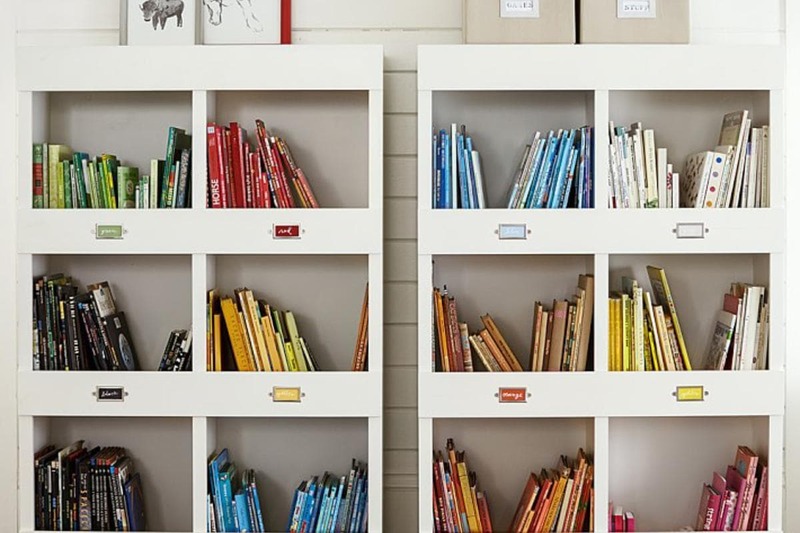 Keep your bookworm’s favourite reads organized with these smart storage ideas.